Patellar maltracking correlates with vastus medialis activation delay in patellofemoral pain patients. Pal S, Draper CE, Fredericson M, Gold GE, Delp SL, Beaupre GS, Besier TF. Am J Sports Med. 2011 Mar;39(3):590-8. 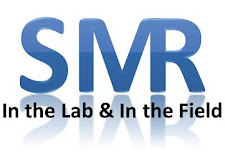 Over the past few weeks, SMR had several posts about patellofemoral pain and the importance of proximal muscle strength (hip and core; see below for a list of these posts and their related discussions). However, many of us were also taught that a delayed activation of the vastus medialis (VM) compared to vastus lateralis may contribute to patellofemoral pain. Like so many other things about knee pain the truth is a bit murky. Chester et al. performed a meta-analysis to evaluate this concept and found that there is an overall trend for a delayed onset of the vastus medialis but not every patient with patellofemoral pain demonstrated this delay. Therefore, Pal et al evaluated the relationship between VM activation delay and patellar maltracking measures in 40 patients with patellofemoral pain and 15 pain-free controls. The authors developed an approach to classify patients with patellofemoral pain based on measurements of patellar tracking collected during weightbearing magnetic resonance imaging (patellar tilt and the percent of patella lateral to the midline of the femur). The authors hypothesized that by dividing patients with patellofemoral pain into two groups they could explain why only some patients have delayed VM activation. 25 patients were classified as normal tracking and 15 patients had patellar maltracking (8 patients with abnormal patellar tilt with increased lateral offset as well as 7 patients with just one abnormal tracking variable). Electromyography (EMG; focus on muscle activation just before heal strike) were collected during walking and jogging at self-selected paces. For patients with patellofemoral pain only the knee with greater symptoms was evaluated (control legs were picked randomly). Overall, VM activation delays did not relate to patellar tracking measures and were not different between pain-free controls and patients with patellofemoral pain. However, among 8 patients with abnormal patellar tilt and lateral offset there were strong relationships between VM activation delay and patellar tracking (specifically, patellar tilt during walking and lateral offset during jogging). The study suggests that patients with patellofemoral pain and maltracking may represent a unique subset in which patellar maltracking is related to VM activation delay. Based on these findings, the authors hypothesized that VM retraining may be effective in only a subset of patients with excessive tilt and lateral offset. Furthermore, the authors note that their findings highlight the importance of a careful evaluation to properly classify patients with patellofemoral pain before selecting clinical interventions. It will be very interesting to see if these findings are replicated with more patients and how these findings relate to knee discomfort. Furthermore, it would be very fascinating to see if the authors are correct that this is a unique subset of patients that may be responsive to VM retraining. As we look at the posts over the past several weeks it highlights the importance of evaluating the entire kinetic chain and then individualizing our therapeutic exercise programs for each patient. Could Different Mechanisms be Related to Patellofemoral Pain in Runners? Interesting, but I'm wondering if this is a "chicken or egg" finding? Specifically, do the other contributing factors like glut medius and maximus latency/weakness, and/or core strength cause a latency in the VMO? I think this idea of a unique subset of patients with patellar pain and maltracking is interesting but we can't tell if the muscle activation delay is caused by patellar maltracking/pain (or a proximal factor) or if the maltracking/pain (or proximal factor) leads to the delay. I think there is evidence that is could go both directions. It will be interesting to see if this subset of patients, regardless of how they got there, responds to neuromuscular retraining better than other patients with patellofemoral pain. To really identify the risk factors for acute and overuse injuries (and really address the questions you raised) I think we need to start considering a large study to follow physically active individuals. We are in a great position to measure pre-season characteristics each year (for example, strength, biomechanics, or muscle activation) during pre-participation physicals and the NCAA already has an established injury surveillance system and I think we are about see a high school injury surveillance system start up in the US. If we could pool those resources with additional screening measures we could really identify some potential modifiable risk factors for injuries. This is a similar concept to some of the studies we have seen in chronic diseases like the Osteoarthritis Initiative, Johnston County Study, Framingham Study, etc. It would be a large (expensive) study but it could provide important insights about many different types of injuries and be applicable to military training as well as public health initiatives to get people more physically active. Thanks for the comment Paul!